A new digital edition of HR Professional is available every month. Each new issue is live by the second week of the month, bringing readers valuable insights and thought leadership from professional experts on a range of topics. Click here to view the Editorial Calendar and Submission Guidelines for HR Professional magazine. Approximately 5,000* people read each new digital edition of HR Professional, putting your company in front of the decision-making power of HRPA’s audience. All issues of HR Professional are archived and available online, meaning your ad can be viewed indefinitely. 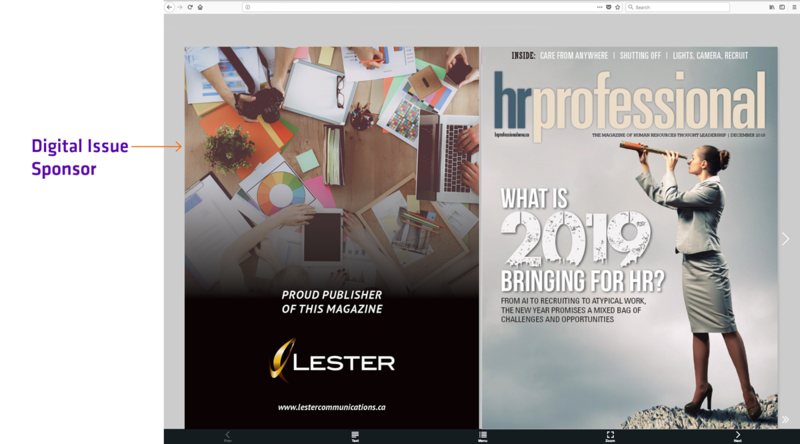 Readers can choose to read HR Professional either on their mobile device via the HR Professional mobile app, downloadable on Apple and Android smartphones and tablets, or on their desktop via the HR Professional digital flip-book edition. 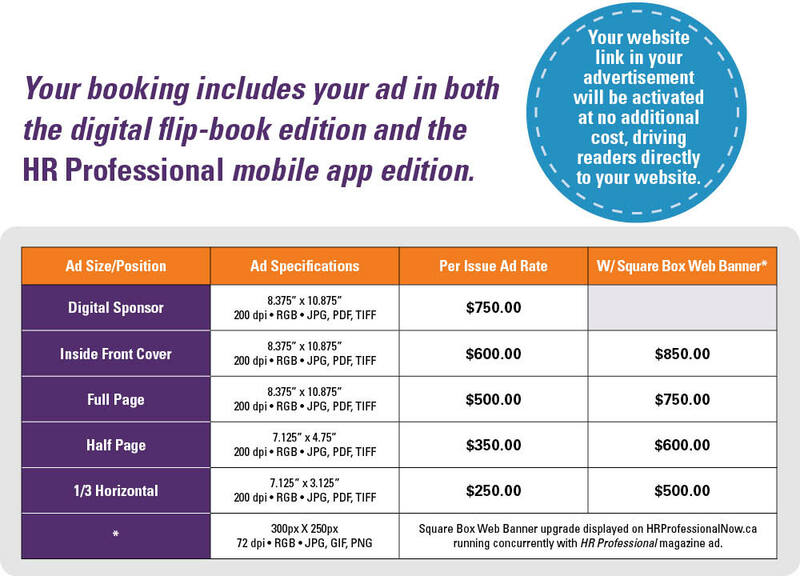 * Based on data collected between March and June 2017, including 3,500 mobile app users and 1,400 unique visitors on the web-based digital flip-book.